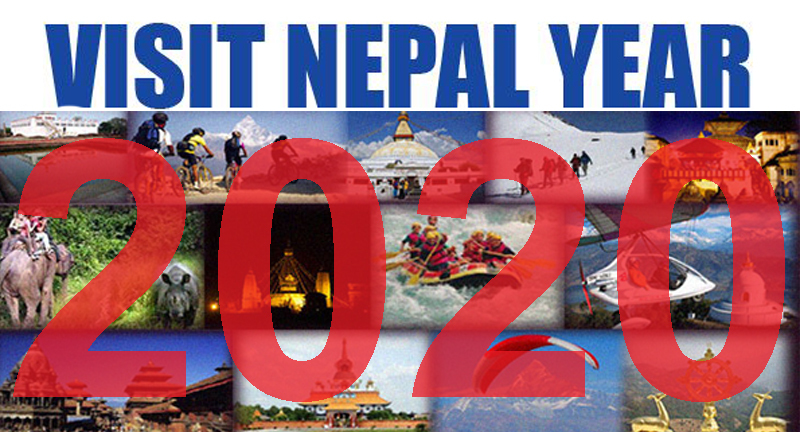 KATHMANDU, Sep 12 : Nepal has planned to organize Visit Nepal Year- 2020 to attract more tourists and complete its target of bringing in two million tourists by the end of 2020. Nepal’s Ministry of Culture, Tourism and Civil Aviation (MoCTCA) also has unveiled the action plan from its side for the next two months, Tourism Minister Jitendra Narayan Dev said that the ministry will establish a secretariat for the Visit Nepal Year shortly to make necessary preparations. Earlier, the MoCTCA had planned to celebrate Visit Nepal Year in 2018, which was put off due to the delay in construction of airports, heritage sites and roads. The unveiled 60-day action plan has given due priority to the early completion of the construction and expansion of the international and domestic airports, heritage sites and other tourism infrastructure. Nepal government has planned to complete the expansion of Tribhuvan International Airport and construction of Gautam Buddha Airport in Bhairahawa before the Visit Nepal Year. Likewise, the reconstruction of major heritage sites is expected to be completed before 2020. In its 60-day plan, MoCTCA has said that it will frame country-wise tourism promotion strategy and bring it into implementation. Country-wise tourism strategy will help the tourism promotion organizations to carry out promotional activities to tap potential outbound travelers of concerned countries. Currently, India, China, United States of America, United Kingdom and Sri Lanka are the major source countries of tourists. In the context of rising number of outbound travelers in India and China, the country wise tourism promotion strategy will help Nepal to tap the outbound travelers of the neighboring nations. The country will identify the reasons behind low growth in tourist arrivals and take necessary measures to attract more tourists in the country, according to Minister Dev. MoCTCA will also carry out a survey to expand the line agencies of the ministry and the departments to the provincial and local levels. Similarly, it will also frame a master plan for the preservation of tourist sites, as per the action plan unveiled sunday.